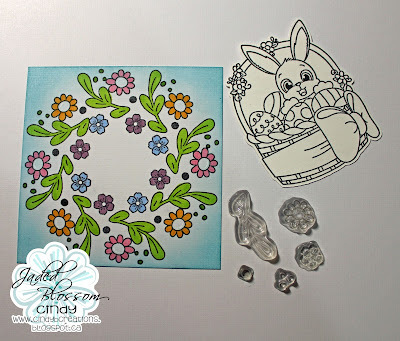 at Jaded Blossom. 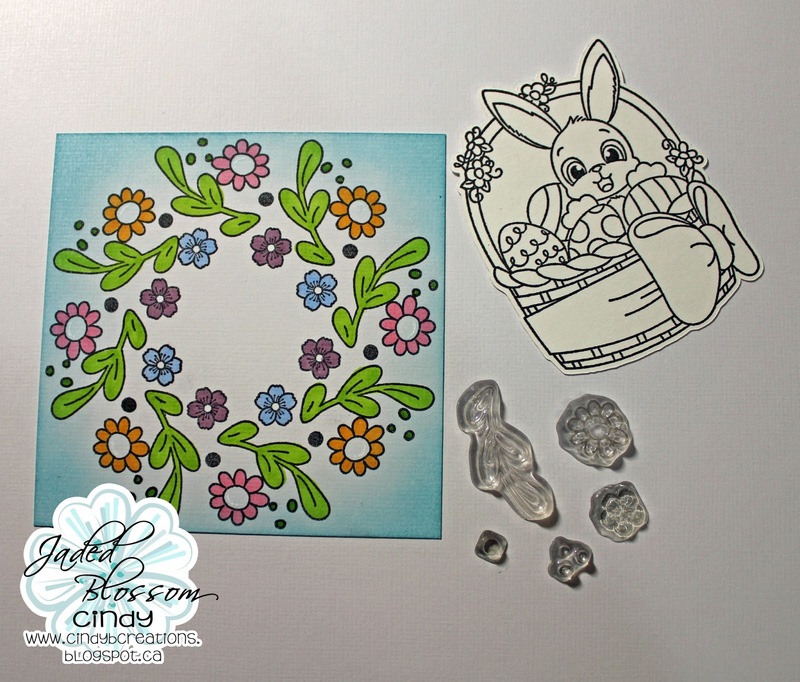 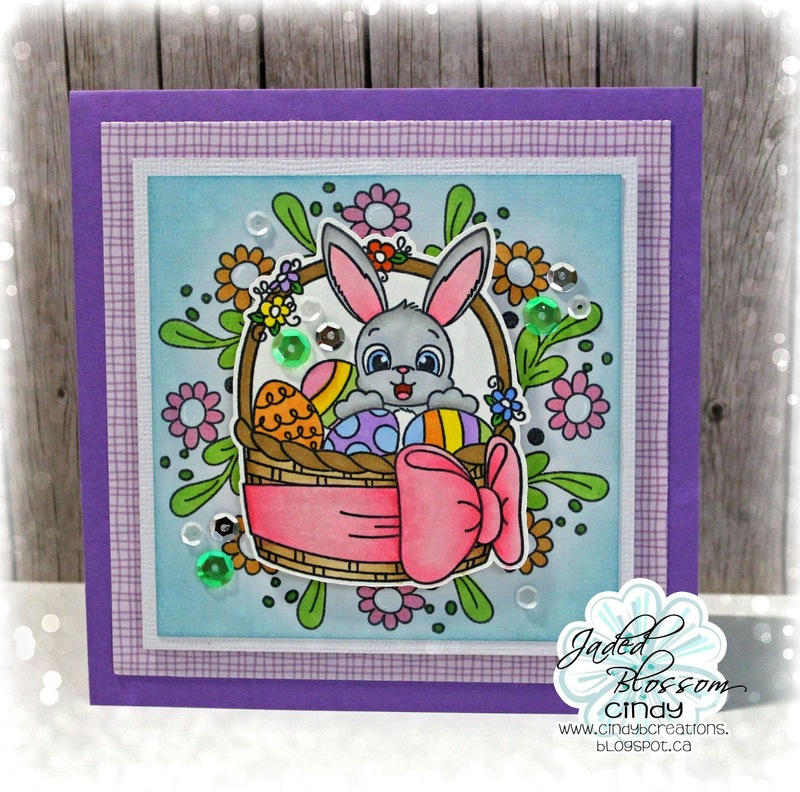 Ok so today's projects are for my class Showcasing a Jaded Blossom set...this time the set is Easter Basket Fun!!! 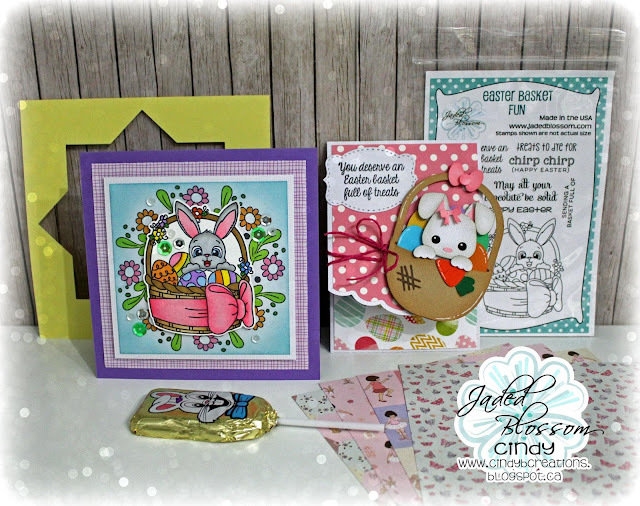 So we do projects theme with that set and give them tips and tricks for getting the use of there stamps.... I like to make a treat holder and a card just so they know that you can use stamps on all kinds of project not just cards!!! 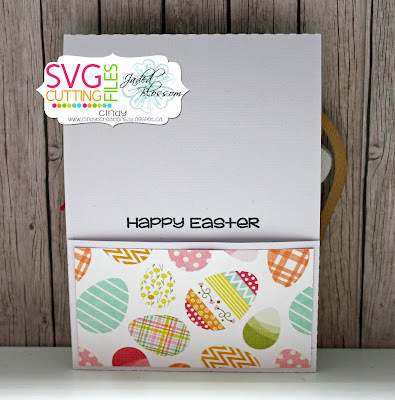 Ok for my first project I made a card using a stencil I made like the wreath builder. Flower Cluster are for the flowers!! 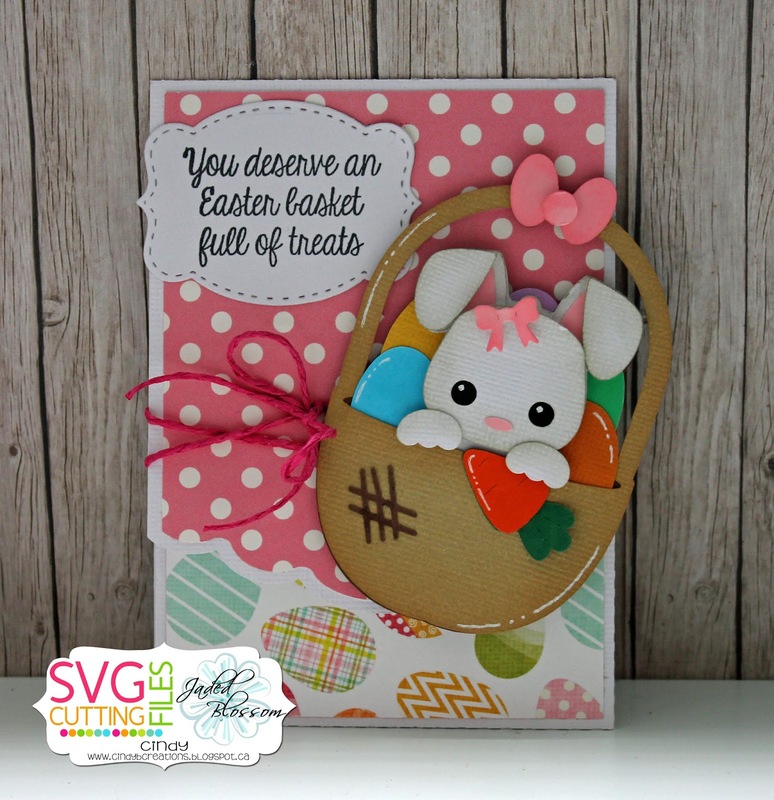 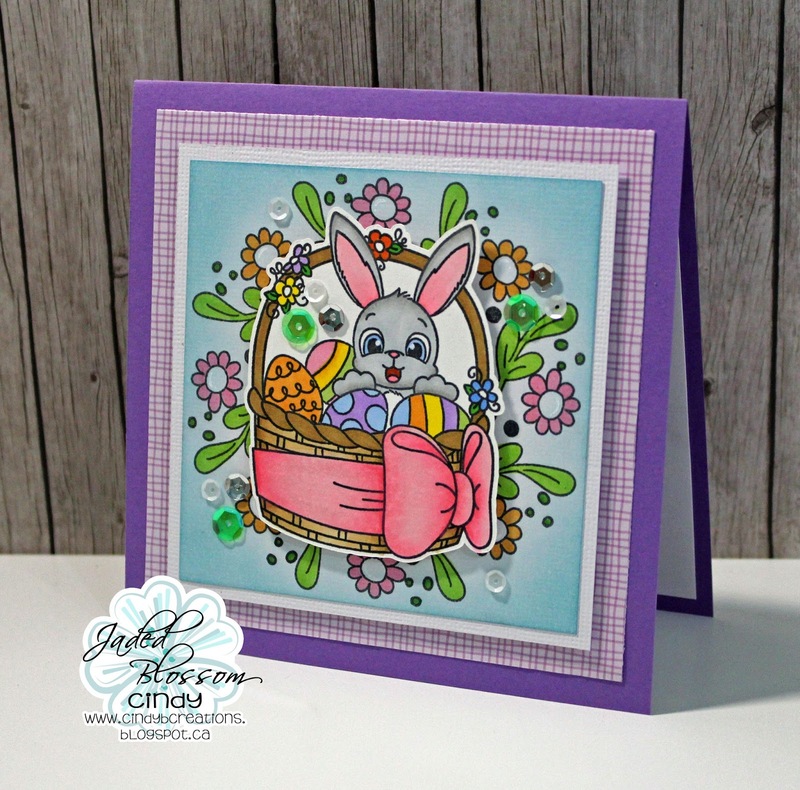 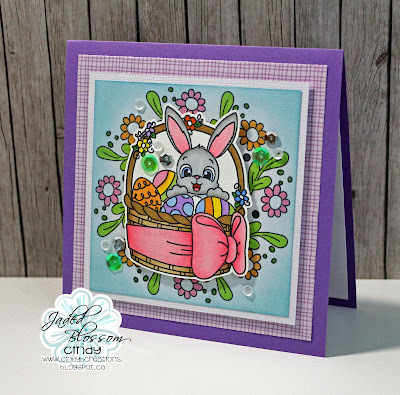 bunny in the basket, the Fold Over Gift Card Pocket Holder for the base of my card holder.